Classical music: Revivals of John Adams’ opera “The Death of Klinghoffer” raise questions during tough times for Israelis and Palestinians. 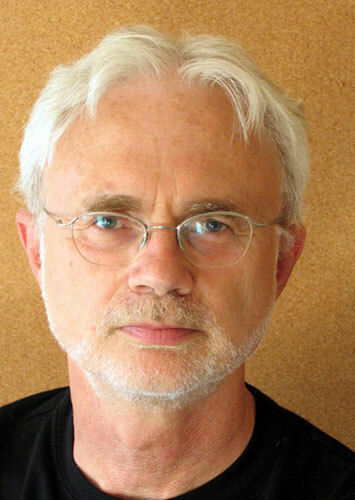 American composer John Adams (below) has been on a roll this past year or two. First came the Metropolitan Opera premiere production of his new “Dr. Atomic,” an opera about physicist and H-bomb inventor Edward Teller that was televised on PBS. Then came the Met’s own premiere of “Nixon in China,” which was also seen in the “Met Live in HD” cinema series this past season. 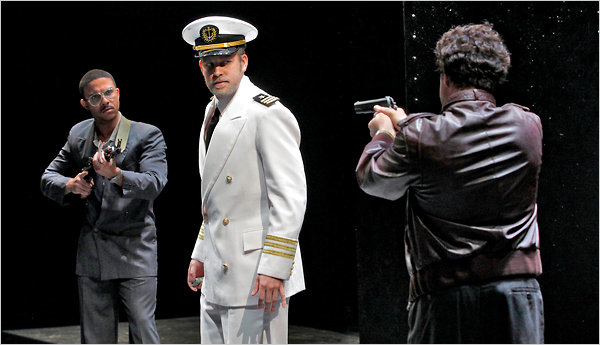 And now comes the Opera Theatre of St. Louis revival (photos below) of “The Death of Klinghoffer,” a 1985 work done with librettist Alice Goodman that was based on the real-life hijacking of a cruise ship and that will also be revived elsewhere. The works has raised controversy and debate, especially for its sympathetic depiction of the plight of Palestinian terrorists – or so some critics say. The tensions are heightened, on suspects, because peace talks are stalled, with Hamas and the Palestinian Authority forming an alliance and with Israeli Prime Minister Benjamin Netanyahu defending West Bank settlements and an all-Israeli Jerusalem. Here are some links to stories for you to make up your own mind. 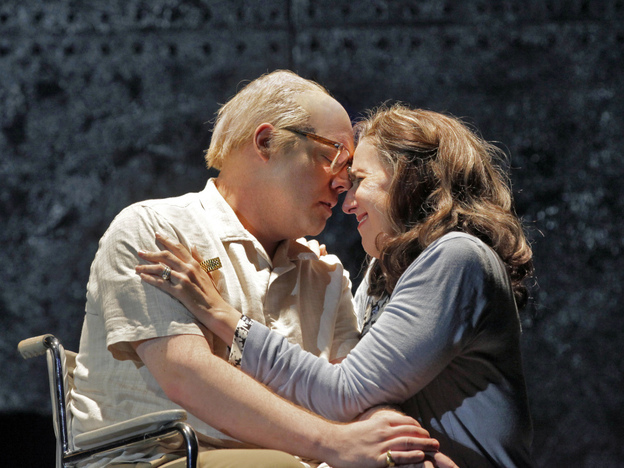 What do you think about “The Death of Klinghoffer” and its depiction of Palestineans, terrorists and Jews?